Celebrating hard work, dedication, love, and memory, Damon Callis and his wife Georgia opened The Urban Winery in Silver Spring, MD. As a veteran of the United States Marine Corps, it made sense to talk to Damon for our November feature. 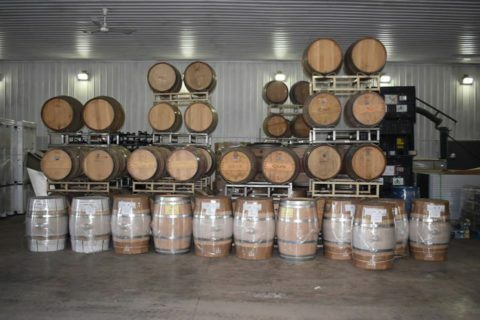 Diversifying their business and finding unique offerings for their customers, The Urban Winery is unlike many other, traditional wineries. The interview below is a great introduction to The Urban Winery. Did you have a passion for winemaking prior to joining the Marine Corps? What ignited this interest? It was not necessarily a passion at the time. However, after meeting Georgia in Sept of 1999, it became increasingly more interesting. In 1999, Georgia and I were just dating, I was in my 2nd year in the Corps when I began to watch, participate in, and lend a hand with the winemaking process with her and her father, Anthony. We made Zinfandel and barrel aged it in our basement. I always say LOVE was the catalyst. Basically, I was trying to impress her father to allow me to date her. Well, 19 years later, believe it or not, it worked. We still make Zinfandel in September. How did you transition from being a service member to producing wine? It was not a direct transition. It was years in the making – a process of growing as a person, developing skills, and hard work. The skills set acquired in the United States Marine Corps instilled the desire to adapt and overcome, to develop solutions, and a relentless fever of persistence. These skills were most evident at the beginning stages of the approval process to create an “urban winery” in Montgomery County and at the Maryland state level. That process was engineered thoughtfully, strategically and with constant persistence. Cultivating relationships and sharing the “big idea” in how that would function was often overshadowed by uncertainty. All of those skills came together with faith and persistence. What inspired you to turn your hobby into a business? Believe it or not, spending more time with family, control of a work life balance, and creating a destiny. This was the driving force behind the hard choice to work for someone or fail on my own. Marines are terrible a failing – it may be our only flaw. Family and time. Not Money. We believe many businesses have a uniqueness to them. Our uniqueness starts with our difference to the normal standard. Have a farm, grow grapes – pretty standard. We are doing what others are not doing or don’t want to do. That “different from the norm” thought process, allows us to be 1 out of 100. Producing wine from grapes over the last 3000 years is not new or special. However, the process of acquiring, the varieties we work with, the different sources and growers, the terroir, the theme, and everything resulting in our wines is curated to appeal to a variety of palates and styles. All this knowledge and experience is center stage in our tasting room, just one block away from the busiest metro stop in the DMV. Our location and accessibility is unique. Additionally, we credit our desire to share with others: Taste. Learn. Create. Our motto is unique and represent the fundamentals of our success. Two other differences are mostly unknown. In our tasting room, we offer wine from regions around the world and we have a large focus on Maryland-produced wines from all the counties in the state. We offer a rotating selection of Maryland and international wines. Taste and learn with all that is available is the Urban Winery experience. Notably absent are California wines. We can go anywhere and you can find a California wine. Coming to the Urban Winery you will discover a wide selection of world wines: unique Greek, ancient world, and small-producer wines. Lastly, we have a laser beam focus on food and wine pairings, wine sensory evaluation tasting discussions, and demonstrating the winemaking process with you or your group to create your wine – complete with your personalized label. This is a unique, hands on, one-of-a-kind experience. How has The Urban Winery evolved since its opening? Taste. Learn. Create. Your Wine. Your Story. What innovative techniques or approaches to wine making can the consumer look for in your wines? VidalPA is our newest innovative release. Destined to be “so different and like no one has ever had before.” This is a Hop’d Vidal Blanc blend. Bursting with amazing aromas of citrus hops and delicate stone fruit is an off-dry white wine. Birthed from an appreciation and a passion for both worlds of craft; beer and wine unite in this collision of the senses. It’s in a can. 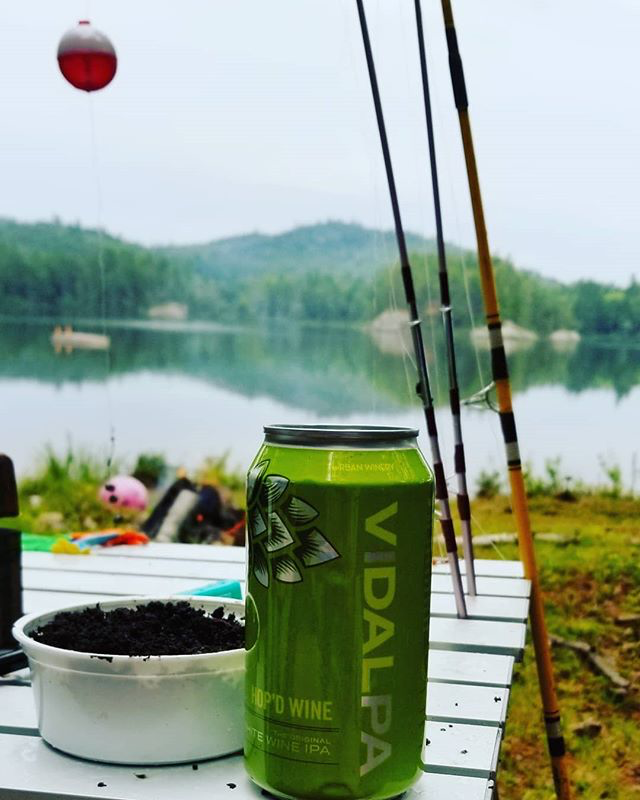 The can creates the perfect environment to experience the hop aroma directly. The way it should be. What is one of the first wines the winery had been producing? Which wine is your featured or most popular? Bole’s Legacy Zinfandel. This wine is very close to our hearts. This Zinfandel style of wine is a wine produced exactly the way we were taught, learned from, and grew to appreciate. This Zinfandel is un-filtered. It is wild-yeast fermented, natural, hand de-stemmed, wood basket hand pressed, bucket transferred, aged in 4-year old Hungarian Oak, waxed, and bottle aged for 1 year (or when the previous year’s wine runs out). Dedicated to the living memory of Anthony, aka Bole, Georgia’s father. Partial proceeds of wine sales yearly go to our charity, the Alzheimer Association in Anthony’s honor. What has been your proudest or most successful moment as a wine producer and winery owner? Simple. Watching our children bottle, or label, or fill the bottles, pressing the corker button, and rolling silverware – all while signing to our favorite songs and listening to the newest Greek songs. There is pride in instilling work ethic and setting the right example. We are proudest to have our children see the work, dedication, challenges, and successes of making it happen. Thankful to all our Parea (a group in Greek culture that gathers to share life experiences) for making it happen with us. How has your experience as a Marine helped you navigate challenges in wine making or in business? Listening to the Marine’s wife. Make mistakes once, adapt and overcome, identify and create problems, find solutions, ask for help, helping others, and having faith. “When the world thinks about American wine it’s firmly located on the West Coast, but the truth is that wine is produced in all the states of the Union,” says contributing editor, Stuart Pigott. Maryland’s wines, selected and submitted voluntarily by the wineries, were scored on a 100-point scale, and tasted by the review team who gathered from their posts around the world. Maryland wineries earned scores from 83-93 points, proving world-class competitiveness. Nineteen wines were scored as “Outstanding,” with 90+ scores. View the video introduction to the tasting. To see all reviews, visit JamesSuckling.com (subscription required). 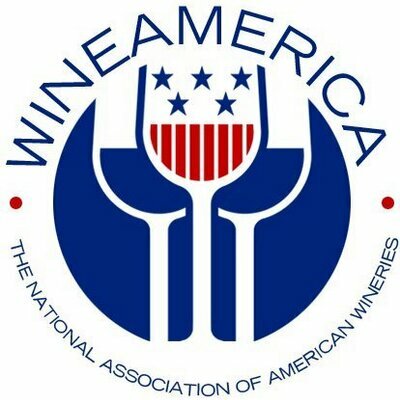 Maryland Wineries Association is a non-profit, member based, trade organization representing more than 90 wineries across the state. MWA’s mission is to cultivate a sustainable wine-growing community by expanding agricultural products and by increasing awareness through special events, industry education, advocacy, promotions and tourism. MWA is represented by Grow & Fortify. For more information, please visit www.marylandwine.com. Recently, Eric Aellen, Linganore Winecellar’s Vice President and Vineyard Manager, was named Ambassador of the Year by the Tourism Council of Frederick County for his work in promoting Maryland Wine Month back in March. His Poker Run promotion included the majority of the wineries on the Frederick Wine trail in an effort to be more inclusive and raise awareness of the great wineries in the area. WDMV covered this announcement recently, and that coverage can be read here. The Maryland Wineries Association congratulates Eric Aellen, and Linganore Winecellar, on the announcement of this accolade.